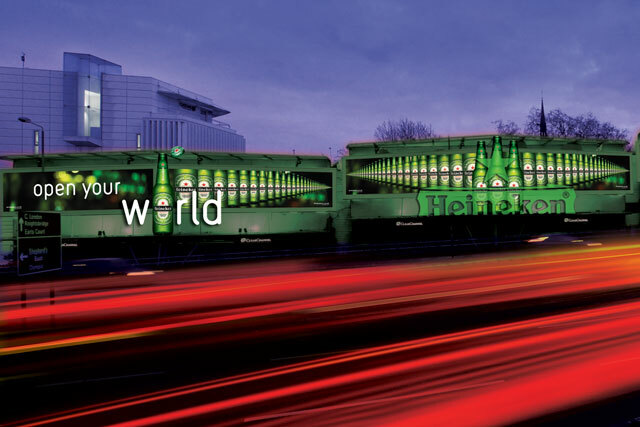 Are the smaller players driving innovation in OOH? Does outdoor's transition, from paper and paste to digital, favour the newer, nimbler operators, Arif Durrani asks. There’s no denying that out-of-home is on a roll. In the first half of 2013, the sector achieved its long-stated goal of becoming a 10 per cent medium (in terms of its share of national advertising spend), saw its £19 million investment in Route research come to fruition and enjoyed more headlines about innovation than ever before. Ask members of the public what OOH advertising means to them and they will just as likely cite digital screens in the Underground, petrol station forecourts or airports as they would large roadside posters. But is this dichotomy between the old and the new actually masking a two-tier business – with the world of paper and paste, and what is essentially a real-estate business, on the one side; and the smaller, technology-led enterprises on the other? The ideas and executions on show at the launch of the LoveContent innovation awards last week certainly demonstrated high levels of ingenuity. Work for Compassion in World Farming was a case in point. The campaign, by the ad agency 18 Feet & Rising, enabled people to feed pigs on an organic farm in return for a donation to the charity through a digital billboard and the technology in their mobile phones. There are plenty of other examples of real innovation, from Ocean’s neuroscience work to Amscreen’s eye-tracking OptimEyes offer and Eye’s mobile and outdoor partnership for its "virtual Tesco store" at Gatwick. Outdoor Media Centre’s chief executive, Mike Baker, says: "There are certainly plenty of campaigns being executed that no-one would have thought possible even a year ago." However, it would be unfair to overlook Clear Channel’s Adshel 2.0 and its near field communication-enabled interactive offering, JCDecaux’s Live experiential service or CBS Outdoor’s user-gen­erated content initiatives in Westfield and on the Tube. The new, smaller operators have helped to make digital the fastest-growing and most exciting area of the OOH sector. As they move closer to online and mobile businesses, are the biggest players lagging behind?